Health care organizations are vital contributors to their communities. They provide resources to enable community health, and care and healing for those who are ill or injured. They are also pivotal centers of community strength, compassion and resilience in times of crisis or disaster. Some of the largest health care organizations, such as universities and nonprofit hospitals, are also considered to be anchor institutions. Anchor institutions are universities, hospitals and other enduring organizations that play a vital role in their local communities and economies. They tend to remain in their geographical settings, even as conditions change around them. Therefore, they are vital assets to their neighborhoods, towns, cities and regions. Increasingly, anchor institutions are expected to do more in their communities, and become active civic participants in improving health and well-being in their surroundings. The Anchor Institutions Task Force is a growing network of over 600 leaders promoting the engagement of anchor institutions in community and economic development. In 2015, the task force’s annual conference was held on Oct. 29 and 30 in New York City at the Marriott Eastside Hotel. Moderated by Jay Perman, president of the University of Maryland, Baltimore, members shared anecdotes and personal experiences working on partnerships with nonprofits and government to contribute to their surrounding communities. “Health care organizations are major employers in several communities, especially in rural locations,” says Diane Jones, vice president for healthy communities, Catholic Health Initiatives. Healthcare anchors leverage their economic power to produce targeted community benefits. Universities spend upwards of $499 billion annually and have a total endowment of over $425 billion. Nonprofit hospitals own assets in excess of $600 billion and enjoy annual revenues greater than $500 billion. With large budgets, these health care anchors can invest heavily in the community and have the opportunity to create change and a better quality of life for these localities. Jones also discussed her experience and the challenges of encouraging anchor institutions to understand their value within their communities. With a focus on community, these health care anchors have to identify social determinants of health and how they play a role in their strategic plan. Where people live, learn, work, play, and attend religious groups or meetings affect a wide range of health, functioning and quality-of-life outcomes and risks. Health institutions are poised to catalyze change, in collaboration with other local partners, in the various conditions that influence health outcomes from education to economic development to the environment, and beyond. One example of a health care anchor making a difference is Dignity Health hospital, formerly the Catholic Healthcare West. Even after solidifying its place as one of the largest hospitals in San Francisco, it is constantly creating ways to leverage capital to make community investments. In 1992, Dignity’s Community Grants Program began providing low- to no-interest loans to nonprofits so that they can survive the tough economic environment that California during that time. With these loans, many service providing nonprofit organizations were able to function and operate without the burden of constantly fundraising just to keep the lights on. Although some consider this a purely business decision, the hospital did not have to provide these loans and could have made significant returns on these investments and in some cases bought out these nonprofits to diversify their portfolios. 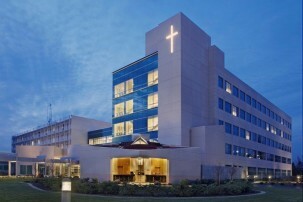 Catholic Healthcare West, one of the largest hospitals in San Francisco, Calif. Lending over $45 million to 88 nonprofits since 2006 is a substantial effort and shows the organization’s commitment and engagement with the community. If numerous health care anchors take this approach, partnering with governments to leverage their investment dollars and providing working capital to the independent sector, as well as small businesses that practice social responsibility, these anchors would make a significant impact. 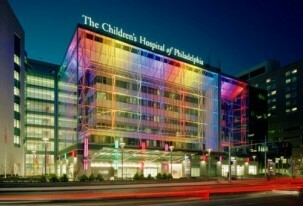 Another example is the Children’s Hospital of Philadelphia. In 2015, the hospital announced a $50 million gift from Raymond G. Perelman. This gift will establish the hospital as a global center for innovative pediatric study that is projected to employ an additional 300 researches and hospital faculty and staff at the hospital. 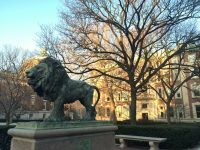 This gift will also create the Perelman Scholars Fellowship, which will make available two new tenure-track faculty research positions. With this gift, the hospital can change the economic setting of Philadelphia. 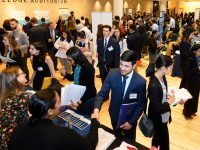 With the opportunity to hire some of the brightest minds locally and from around the world, the hospital is showing the independent sector that they can reinvest in a city that needs all the resources it can get. The Children’s Hospital of Philadelphia announced in January 2015 a $50 million dollar gift from Raymond G. Perelman. This gift will help establish the hospital as a global center for innovative pediatric study that is projected to employ an additional 300 researchers. Partnering with the local city economic development corporation to provide small-business training and providing space for community development meetings. Incubating new businesses, including social enterprise among nonprofits, by providing below-market-rate loans. Purchasing at least 20 percent locally produced food. Conducting local purchasing, job training and entry-level opportunities for local workers. Strengthening community capacity by community organizing, leadership development, and partnership and coalition building in surrounding neighborhoods. 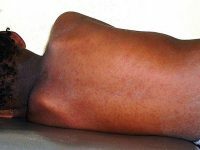 To help health care anchors take advantage of partnership opportunities, the Anchor Institutions Task Force has provided tools to enhance their societal missions and address local needs, as well as strengthen democratic, mutually beneficial partnerships between institutions of higher education, schools and community-based organizations. Partnerships between anchor institutions and local organizations and businesses will prove vital to solving problems in localities and regions. Through engagement, investment and collaboration, anchor institutions can continue to play a crucial role in providing significant social and economic development opportunities to the communities in which they operate.